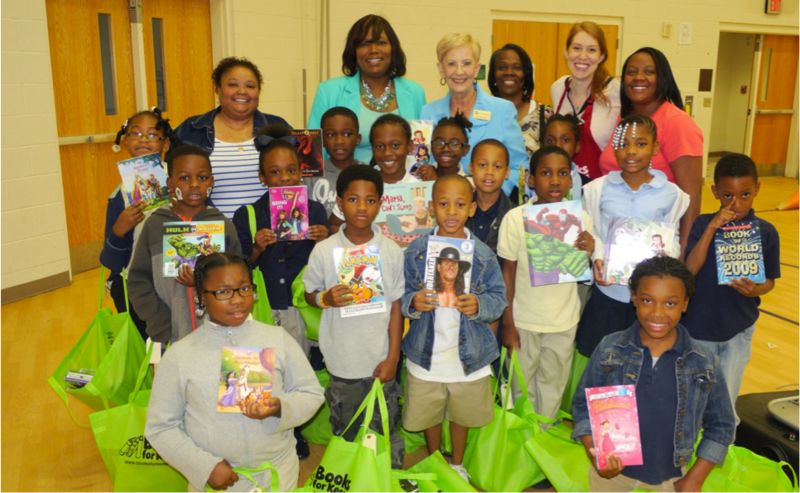 Dunbar Elementary School Principal Karen Brown-Collier (second from left) and Georgia first lady Sandra Deal (center) are pictured with Dunbar Elementary teachers and Books for Keeps Executive Director Leslie Hale (second from right), as second grade students show off their new books. Georgia first lady Sandra Deal greeted students at Atlanta Public Schools’ Dunbar Elementary as Athens-based Books for Keeps distributed 12 free books to each student April 30 to encourage summer reading at home. The organization’s program expansion out of Athens is part of a commitment made in 2011 to the Clinton Global Initiative. At the time, Books for Keeps committed to serving every Athens school where 90 percent or more students qualify for free or reduced lunch, and to reach one school in urban Atlanta and one school in rural Georgia. Dunbar Elementary students select new books donated by Books for Keeps for their personal home library. About Dunbar Elementary School: Paul L. Dunbar Elementary is a school where excellence is expected and all children are developed academically, emotionally, and socially in order to become globally competitive. Located in the heart of the Mechanicsville Community. Dunbar was founded in 1967 and opened its doors in 1969. The school was named after the famous poet, Paul Laurence Dunbar, one of the first African-American poets to gain national eminence. Since opening, Dunbar has served as a light of hope for students, parents and community members. The school was the focus of the Philadelphia-based Annenberg Foundation’s turnaround efforts in the Mechanicsville community. Dunbar Elementary has been infused with new-found optimism, punctuated by an increase in parental involvement and dedicated community/business partnerships. www.atlantapublicschools.us/dunbar. About Books for Keeps: Books for Keeps started as one woman’s effort to help a child who loved to read but had no books at home. The nonprofit was incorporated as a 501(c)(3) tax-exempt organization in 2011. Books for Keeps distributes books to students ranging from pre-K through 12th grade. The flagship elementary school program, Stop Summer Slide!, is based on a University of Florida study that found giving economically-disadvantaged elementary school children each 12 high-interest books at the beginning of summer had an impact on reading achievement statistically similar to attending summer school. 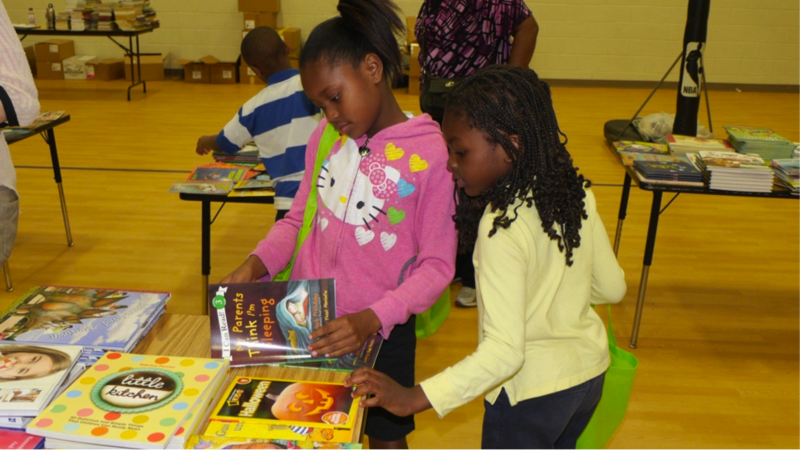 In May 2014, it has plans to distribute 45,000 books through Stop Summer Slide! at 10 elementary schools in Athens, Atlanta, and Warrenton. To learn more about Books for Keeps, visit www.booksforkeeps.org.